Back in high school we learnt that aluminium was a useful material partly because it is protected by a tenacious oxide layer. Iron, in contrast, suffers from the fact that it forms a flaky, rust layer when exposed to the atmosphere. Of course, like many truths taught at school, the aluminium oxide story only bears so much scrutiny. Our GCSE level explanation starts to come unstuck when we realise that the term “aluminium oxide” is loose. Purely in terms of stability, we would love to have alpha alumina on our aluminium surface. Alpha alumina occurs in nature as corundum. With a few impurities thrown in we get gemstones like amethyst, sapphire, topaz and ruby. 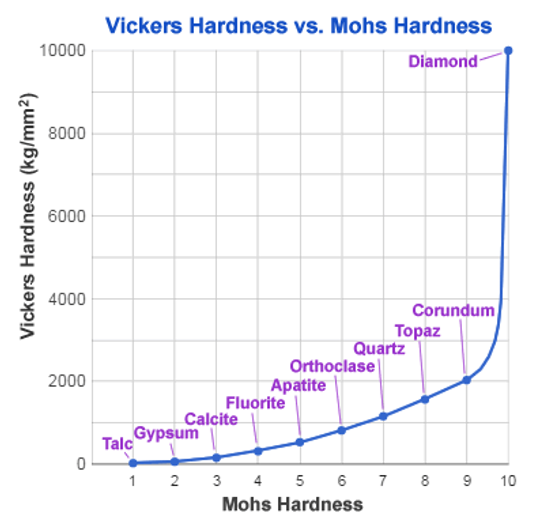 We find corundum just below diamond on the Moh scale. This is a qualitative description of the scratch resistance of minerals. Unfortunately like diamond, the conditions we need to form corundum (> 1200°C) are a long way from those we find in aluminium plants. The normal state of affairs, when we roll or extrude aluminium, is a lower temperature and uncontrolled atmosphere. In the real world our aluminium surface is a consequence of those conditions. It is a mixture of aluminium oxide and hydroxide. Although surface engineers like the stability of the oxide, the hydroxide part is also useful. Much of the aluminium in use today is coated or bonded. Adhesive, paint and lacquer producers find hydroxide groups on the aluminium surface useful for forming bonds with their products. These bonds give the levels of stability necessary for ensuring durability and product lifetimes measured in years. However, experience tells us too many hydroxide groups give a surface layer that is relatively weak and somewhat hygroscopic. Aluminium oxyhydroxide minerals, for example, have Moh hardnesses of between 2.5 and 7 compared to 9 for corundum. At Innoval we routinely use infrared spectroscopy (FTIR) to assess aluminium surfaces. It doesn’t have the highest resolution compared to some high vacuum techniques. However, it does allow a much faster throughput of samples. It gives us the ability to determine the chemical bonds on aluminium surfaces both qualitatively and, with calibration, quantitatively. In reality, the native oxide is not a simple crystalline mineral. 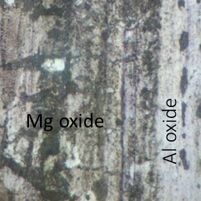 In fact if you grow an oxide on aluminium in a dry atmosphere at room temperature you will find it is a mixture of Al2O3, pseudo-boehmite and bayerite. Producers of technically demanding surfaces e.g. for automotive sheet, rely on cleaning and pretreatment processes to remove this largely uncontrolled oxide layer. They will then replace it with a more standardised surface often featuring stabilising elements such as titanium or zirconium. Only then can they be sure their products can meet the requirements of ever demanding end users. Helping our customers understand their aluminium surfaces is a major part of our business. Our customers, as aluminium producers and end users, face complications because the metals they use are alloys. If you add a few percent of another metal into bulk aluminium you can be sure some of that is going to end up on your surface. For example, with 5000 series alloys during normal processing, magnesium’s higher diffusivity means there is a concentrating effect at the surface. This is an issue in products needing good long term adhesion. 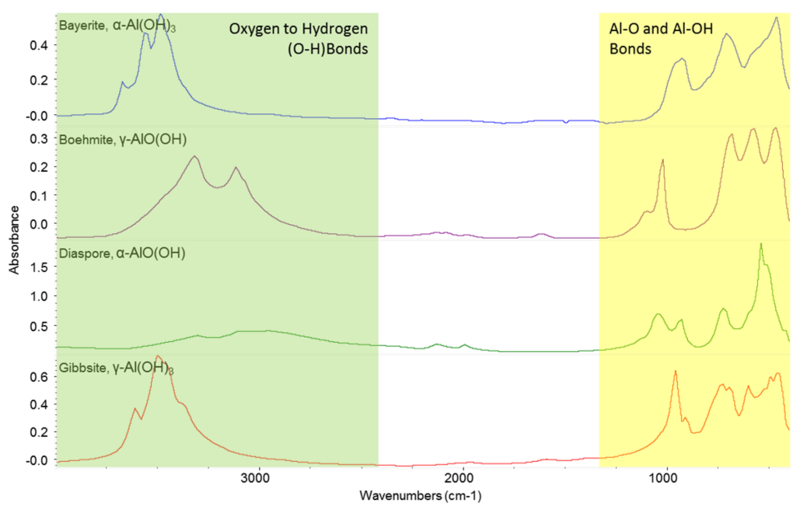 Magnesium oxide has a strong tendency to hydrate forming a weak hydroxide that can lead to premature adhesion failure, as you can see in the IR spectra in Figure 3. In another area, Innoval’s heat exchanger group works with customers who know the problems with brazing that occur due to magnesium concentration at the surface. We have a unique ability with our infrared kit to monitor surfaces in situ as they are heated in various atmospheres. 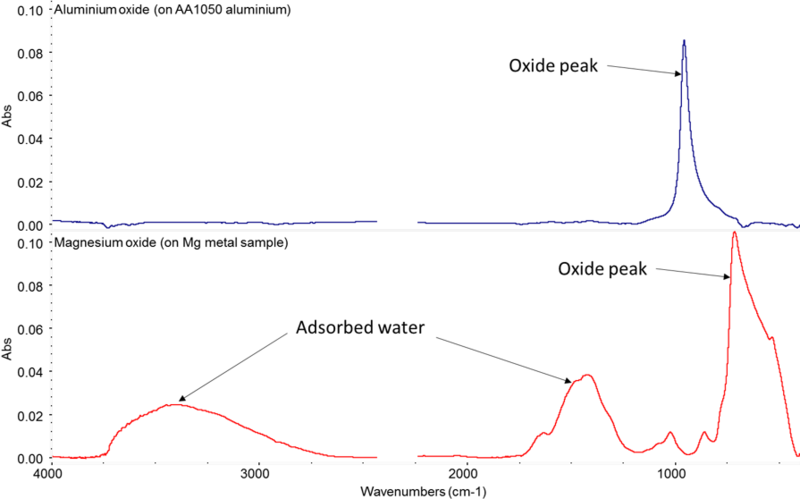 The figures in Figure 4 show two examples of this; the growth of aluminium oxide on super purity aluminium and on 5182 at 595°C. Getting the surface right is often a critical factor in achieving world class products. FTIR is one of the key techniques we use to show customers the features of their surfaces that affect performance. You can read more about our analytical capabilities here.